Director of Programs LiAnna Davis traveled Brazil to meet with the Wikimedia Brasil User Group and present at the University of São Paulo about teaching with Wikipedia and the Year of Science. 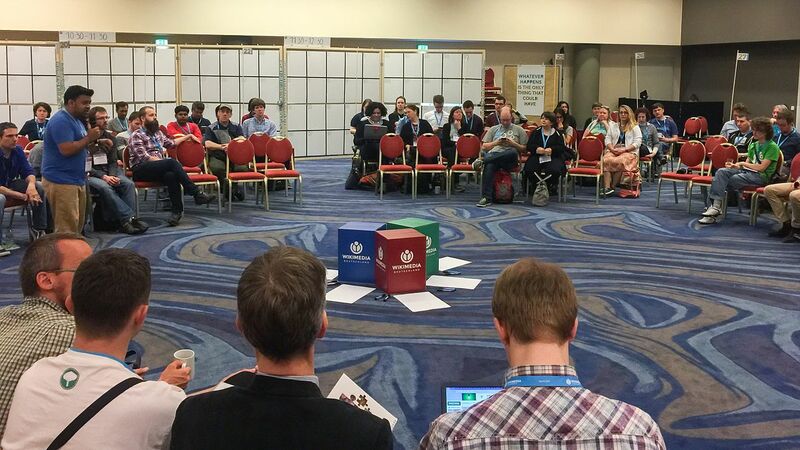 Executive Director Frank Schulenburg and LiAnna went to Germany for the annual Wikimedia Conference, where they participated in the movement’s strategic planning process and exchanged learnings with program leaders from around the world. We continue to set new records for the Classroom Program, which now includes 333 courses, with more than 6,100 students contributing to public knowledge on Wikipedia. 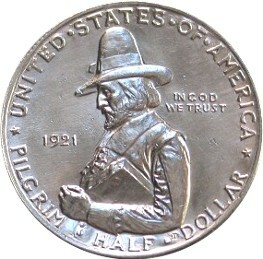 George Mason University Visiting Scholar Gary Greenbaum brought the Pilgrim Tercentenary half-dollar article to Featured Article status, the highest level of quality on Wikipedia. LiAnna Davis co-presents with Professor João Alexandre Peschanski in Brazil. LiAnna traveled to São Paulo, Brazil, at the invitation of the São Paulo Research Foundation. While in Brazil, LiAnna gave two presentations at the University of São Paulo (USP), met with the Grupo de Usuários Wikimedia no Brasil (Wikimedia Brasil User Group), and attended a neuroscience and mathematics edit-a-thon for the Portuguese Wikipedia. 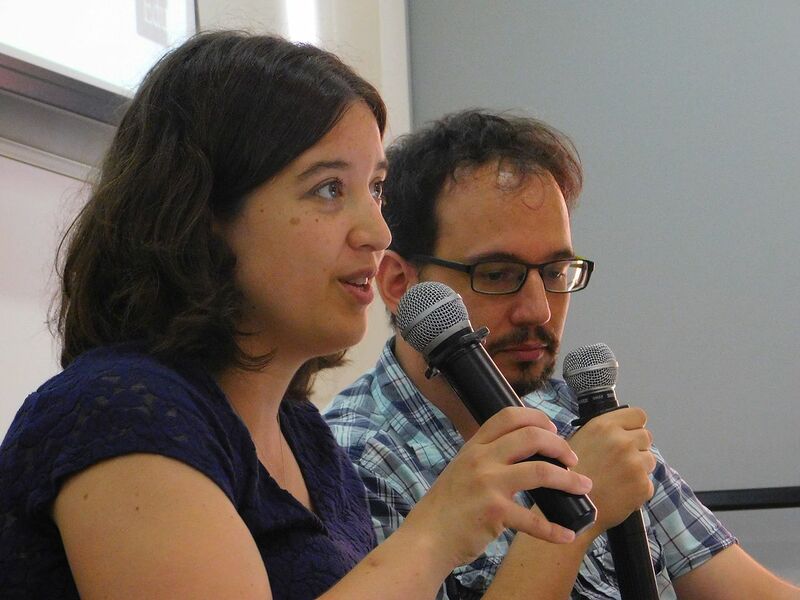 In particular, LiAnna encouraged USP researchers and faculty to engage in sharing information on Wikipedia, with the goal of a Year of Science initiative in Brazil in the next few years. You can read more about LiAnna’s trip in her blog post. Frank and LiAnna also traveled to Berlin, Germany, to participate in the Wikimedia Conference, an annual gathering of leaders running Wikimedia programs around the world. It was a really good opportunity to share our learnings from the last year of running our programs, and to learn from others doing education work globally. 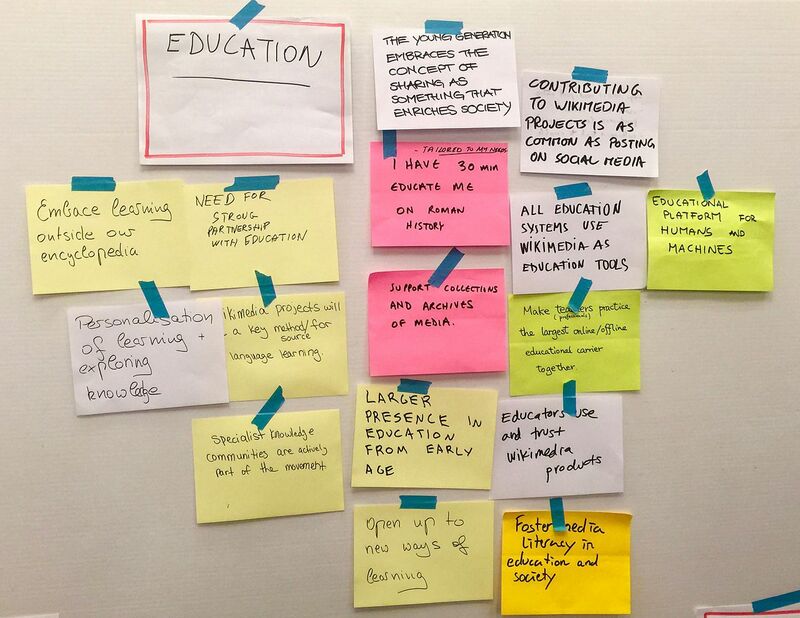 Frank participated in the Movement Strategy track, an opportunity to help shape the future strategic direction of the Wikimedia movement, focusing on the importance of education. LiAnna participated in the capacity building track, presenting during the Learning Days on program impact and giving an impromptu presentation about the Program & Events Dashboard, a version of our Dashboard software that’s available for program leaders globally to use. The conference was a great opportunity for us to connect and collaborate with others around the world. In early March, Educational Partnerships Manager Jami Mathewson traveled to Chicago to the National Women’s Studies Association’s regional meeting of department chairs and directors. We attended this meeting for the third year because it gives us an opportunity to learn about initiatives within women’s studies departments and to share updated strategies and resources with highly influential faculty. At this meeting, we presented to attendees about the impact women’s studies students have made on Wikipedia as a part of our partnership. 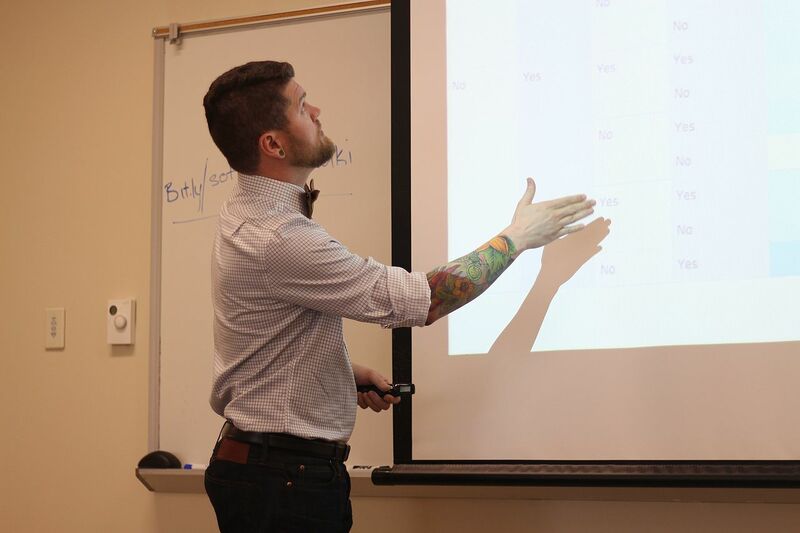 We shared preliminary results from Research Fellow Zach McDowell’s research study about the student learning outcomes during a Wikipedia assignment, and attendees were excited to learn more as we publish results. One session at the meeting focused on curriculum transformation, and we discussed the challenges of addressing relations of power in the undergraduate classroom. Several Wiki Education instructors have identified the way editing Wikipedia empowers students to produce knowledge as one reason they engage in this project, making Wikipedia-writing assignments a great fit for instructors looking to bring this learning experience into the classroom. Jami also attended the Academy of Criminal Justice Sciences’s annual meeting in Kansas City, promoting Wiki Education’s Classroom Program to criminology instructors. In the past, we’ve supported courses like Annette Nierobisz’ Women, Crime, and Criminal Justice course at Carleton College with fantastic outcomes. For example, students created a new article, reproductive health care for incarcerated women in the United States, sharing information with the public about the lack of reproductive health care available to incarcerated women. We’re looking forward to bringing more criminal justice courses into the Classroom Program, as students can identify topics relevant to citizens’ daily lives and provide reliable, accessible, verifiable information. Zach presenting at the Scholarship of Teaching and Learning conference in Savannah. Later in the month, Outreach Manager Samantha Weald attended the American Society for Environmental History conference in Chicago, speaking to potential program participants about the power of disseminating information about environmental science to the general public via Wikipedia. Meanwhile, Jami and Zach joined pedagogy researchers at the Scholarship of Teaching and Learning conference in Savannah, presenting about the educational benefits of writing Wikipedia. 333 Wiki Education-supported courses were in progress, 157 or 47%, were led by returning instructors. 6,116 student editors were enrolled. 62% of students were up-to-date with the student training. Students edited 4,460 articles, created 282 new entries, and added 1.9 million words. In less than three years, the Classroom Program has more than tripled in size. While numbers alone cannot truly convey its impact on both Wikipedia and student learning, growth means that more students are engaging with public knowledge creation and more subjects on Wikipedia are being improved. In Fall 2014, we supported 98 courses and 2,700 students. We’re currently working with 333 courses and more than 6,000 students, and spring quarter courses are continuing to sign up. The number of courses being taught by first-time instructors to the program is greater than the total number of courses we supported in Fall 2015, while the number of our courses taught by returning instructors remains strong at about 50%. In addition to onboarding spring quarter courses, the Classroom Program team has been busy making sure that all of our courses are getting the help they need during the height of the term. Earlier in the month, Classroom Program Manager Helaine Blumenthal, along with Samantha and Wikipedia Content Expert Ian Ramjohn, again held Wiki Education Office Hours. During these hour-long sessions, instructors in the program are invited to stop by and discuss their Wikipedia assignments. During our two sessions, instructors were eager to know about everything from best practices for assessing student work to questions about specific articles. Not only do these sessions enable Wiki Education to interact with instructors on a more personal level, but it gives us a better sense of what’s going on in the classroom. It’s also a wonderful opportunity for instructors to learn from one another, and we were delighted to see instructors offer one another advice based on their own experiences. We’ll be holding office hours again in April and one final session for this fiscal year in May. Samantha and Helaine also had the privilege of visiting Naniette Coleman’s class earlier in the month at UC Berkley. The course is an independent study project focused around the highly relevant subject of privacy. While there, Helaine and Samantha introduced students to Wiki Education and explored the larger impact of their work. As mostly freshmen and sophomores, they all had some experience with Wikipedia, but mainly as consumers of information. They were all eager to make their own mark and to make connections between various aspects of privacy and their majors or other interests, ranging from music to law. We also welcomed Wikipedia Content Expert Shalor Toncray on an interim basis this month. Shalor is helping out with classes in the humanities this spring. A student in George Waldbusser’s Biogeochemical Earth class created this diagram to explain how oceans become euxinic. 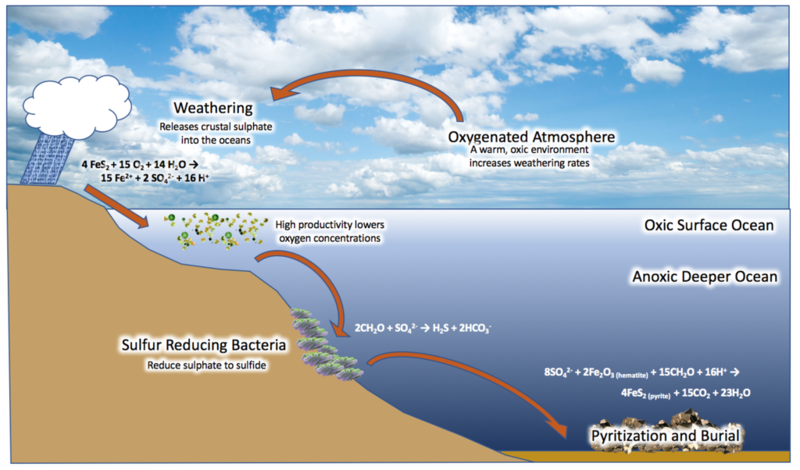 Image: How oceans become euxinic.png, by User:Hgossy, CC BY-SA 4.0, via Wikimedia Commons.? Ocean chemistry has changed substantially over the past 4.4 billion years. After the Great Oxygenation Event about 2.3 billion years ago, oxygen was thought to have gradually accumulated in the oceans. That idea was challenged in 1998 when Donald Canfield proposed that the presence of oxygen in the atmosphere instead produced Euxinia—an ocean that was anoxic and rich in hydrogen sulfide. Students in George Waldbusser’s Biogeochemical Earth class created an article about Euxinia that not only details the ancient ocean and how its chemistry could have been inferred, but also discusses modern euxinic conditions, which occur most notably in the Black Sea. Another group turned the short Bioaerosol article into something much more substantial. Bioaerosols, which include fungi, bacteria, viruses and pollen, can be transported for thousands of kilometers before settling out of the atmosphere, and can play an important role in cloud formation. While many of these organisms die quickly in the upper atmosphere, some bacteria can survive for extended periods of time. Dust storms, which move material across the Atlantic from North Africa and across the Pacific from the Gobi Desert, may also move bioaerosols across these oceans. Other articles substantially expanded by students in this class include Netarts Bay, Reverse weathering and Ice algae. Kalief Browder was an African American man who, at the age of 16, was arrested and imprisoned in Rikers Island, without trial, for three years. Browder spent most of his time in solitary confinement. His mental health suffered while imprisoned, and he committed suicide two years after his release. A student in Fabian Neuner’s Black Lives and Deaths class expanded Wikipedia’s short article about Browder to include information about his early life, the nature of his arrest, the conditions of his imprisonment, and the details of his trial, which was repeatedly postponed over the course of his imprisonment. Other students in the class expanded a variety of other articles including Chicago Alternative Policing Strategy, Criminal stereotype of African Americans, Reparations for slavery and Assata’s Daughters. Thomas Day was a free black furniture craftsman and cabinetmaker in slavery-era North Carolina whose handiwork remains highly sought-after. A skilled craftsman and businessman from a well-educated background, Day was able to tread a line between black and white society. A student in Lisa Maria Strong’s Museums and Diversity class expanded the existing article in Day, greatly expanding the information on this life and adding detailed sections about his furniture craftsmanship, architectural craftsmanship and his legacy. Black Hawk was a Lakota medicine man and artist known for the creation of a series of 76 drawings depicting Lakota life and rituals during the winter of 1880-1881. A student in the class expanded the short article about Black Hawk into a substantial article adding context and a lengthy discussion of the collection of drawings and their significance both as a work of art and as one of the most complete depictions of Lakota life and cosmology. Other students in the class expanded articles about Lois Mailou Jones, a Harlem Renaissance artist, and Poplar Forest, a plantation and plantation house owned by Thomas Jefferson. Visiting Scholar Gary Greenbaum brought the article on the Pilgrim Tercentenary half dollar to Featured status. Image: Pilgrim tercentenary half dollar commemorative obverse.jpg, by User:Bobby131313, public domain, via Wikimedia Commons. Community Engagement Manager Ryan McGrady spent time this month working with new Visiting Scholars sponsors. Ryan coordinated the review of applicants for the Visiting Scholars position with our partners at the Association for Women in Mathematics (AWM). There were several excellent candidates, of which Ryan recommended two to AWM Executive Director Magnhild Lien. Ryan has also been planning a Visiting Scholars initiative sponsored by the Deep Carbon Observatory, a global research community of scientists dedicated to better understanding of carbon in Earth. Current Visiting Scholars continued to contribute high-quality work to Wikipedia. Jackie Koerner, Visiting Scholar at San Francisco State University, developed the article on Native American disease and epidemics while Barbara Page at the University of Pittsburgh contributed to a number of health-related subjects, like the entries for vasopressin and amoxicillin. Gary Greenbaum at George Mason University continued his run of high-quality numismatics articles by substantially expanding Vermont Sesquicentennial half dollar, and bringing Pilgrim Tercentenary half dollar, a coin struck in 1920 and 1921 to commemorate the 300th anniversary of the Pilgrims’ arrival in North America, up to Featured Article status, the highest level of quality on Wikipedia. LiAnna continued to work with PR & Company, the media relations firm we brought on to bring more media attention to Wiki Education’s programmatic impact. On the surface, March was a slow month for Wiki Education’s software development efforts, but behind the scenes things have been moving quickly. With contributions from volunteers from the AgileVentures community as well as several prospective interns, we fixed numerous small bugs and user interface inconsistencies in our software. March also saw major performance improvements, resulting in both faster loading of data for Dashboard users and a much faster update cycle — with new edits from program participants reflected sooner on Dashboard course pages. Product Manager Sage Ross continued streamlining the Dashboard’s tools and automated processes that help us keep track of and respond to activity in the ongoing courses we’re supporting. In response to community feedback about the Dashboard’s system of automatic welcome messages, we reorganized the way we welcome newly enrolled students on their talk pages. We also improved the course-related email alerts the Dashboard sends to instructors and Wiki Education staff. At the end of the month our contracted designer jumped into development of the Article Viewer authorship highlighting feature, and we started the beta testing phase of a Dashboard chat feature, through which we identified several areas for improvement before a wider rollout. During March, Zach and Research Assistant Mahala Stewart finalized the quantitative analysis portion of the Student Learning Outcomes data assessment. We conducted univariate descriptive statistics and bivariate relationships of pre- and post-assessment survey data, using students’ responses to the surveys’ closed-ended questions. We then ran a series of multivariate analysis, using ordinal logistic regression models, each with a different dependent variable that assessed outcome. The independent variables for this analysis included contextual and demographic factors for the influence on students’ attitudes towards Wikipedia assignments. Additionally, we have begun analyzing the focus group data for triangulation of the skills questions. Zach has begun to present the findings on this data, and will continue throughout the summer. Zach traveled with Jami to Savannah, Georgia, for the Scholarship on Teaching and Learning (SoTL) commons conference to present on these findings and on Wiki Education in general. 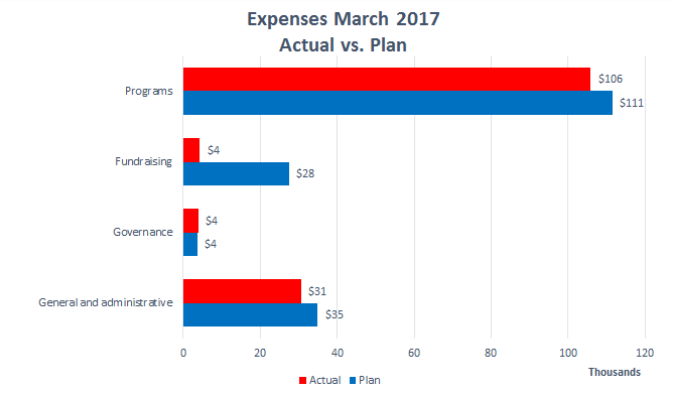 ​For the month of March, our expenses were $144,755 versus our approved budget of $177,453. As with prior months, the $33k variance is primarily due to staffing vacancies ($27k); along with timing differences of a number of expenses. Completing our 3rd quarter, our year-to-date expenditures were $1,355,148. We continue to be well below our budgeted expenditure of $1,765,818 by almost $411k. Like the monthly variance, a large portion of the variance is a result of staffing vacancies ($163k). In addition, there continues to be timing difference and savings, as well as the decision to defer some expenses that contributed to the variance. 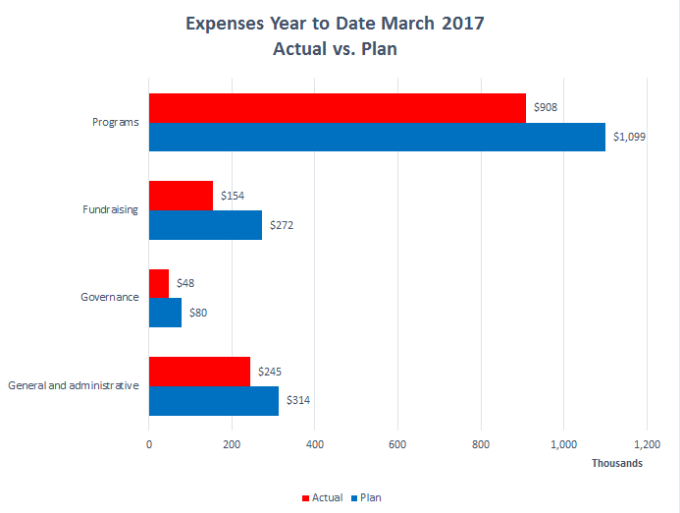 Among the areas contributing to this difference are: Professional Services ($69k); Travel ($95k); Marketing and Fundraising Events ($29k); Board and Staff meetings ($44k); and Printing ($19k). In March, Frank re-filled the open development position after Tom Porter left the organization in February. TJ Bliss, former program officer for the Open Educational Resources portfolio at the Hewlett Foundation, will join Wiki Education as Director of Development and Strategy in June. Prior to his time at Hewlett, TJ was the Director of Assessment and Accountability for the State Department of Education in Idaho. He was also a member of the Open Education Group at Brigham Young University and the OER Policy Fellow at the International Association for K-12 Online Learning. TJ has a Ph.D. in Education, a Master’s Degree in Biology, and Bachelor’s Degree in Molecular and Microbiology. He will be responsible for creating and executing our development strategy, building relationships with key decision makers in the philanthropy community, and supporting the creation of our next organizational strategy on the staff end. Also in March, Frank talked to Emiel Rijshouwer, a sociologist from Erasmus University Rotterdam, who conducts research about the “organization of self-organization”. Emiel interviewed Frank about the evolution of the Wikimedia Foundation’s efforts to provide volunteer-communities with the infrastructure (software, tools, norms, funding, etc.) to support their work. At the end of the month, Frank and LiAnna attended the Wikimedia Conference 2017 in Berlin. This year, the annual conference focused on Wikimedia 2030: a global discussion to define the Wikimedia movement’s future role in the world. Over the course of three days, Frank joined delegates from different parts of the world to identify a cohesive direction that aligns and inspires every Wikimedian on the path to 2030. Education was one of the main themes of the conference and both LiAnna and Frank spent a great amount of time with education program leaders from different countries in order to learn from each other and to strengthen personal ties.